While the winter storm has moved out of the D.C. region, its effects may still be seen on roads Thursday morning. Temperatures are falling after a night of melting snow. From about 2 a.m. to 7 a.m., expect tempratures to hover around freezing. We could have patchy ice on roadways until around 8 a.m., when we get back up to about 35 degrees. By the morning commute, Interstate 81 and Interstate 66 could be snow-covered and slow. Prepare for slick spots on Interstate 270. And Interstate 95, Interstate 496 and U.S. Route 301 will be wet. The winter storm made a mess for drivers along a busy stretch of Maryland Wednesday. Rain, snow and sleet made I-270 and I-70 slippery for hours. 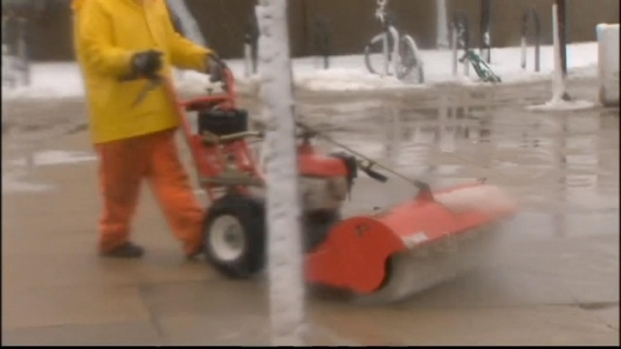 As News4's Chris Gordon reports, just a few miles made a big difference for drivers. Wednesday's snowstorm turned roadways into slippery messes. Buses and trains were canceled or rerouted. More than a thousand flights were scratched at area airports. The Chesapeake Bay Bridge in Maryland closed about 2:30 p.m. due to high winds but reopened to cars about 6 p.m. The D.C. Department of Public Works began sending out plow trucks through the city late Tuesday. More than 200 worked through the storm. DPW Director William Howland urged residents to clear their sidewalks so that pedestrians don't get hurt. The winter storm caused delays on the road and rails and at local airports. Transportation reporter Adam Tuss has more on how travel has been affected. 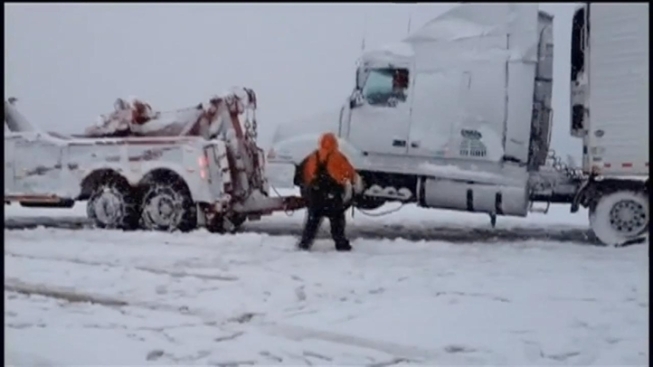 In Maryland, the State Highway Administration had 2,300 crews plowing and treating roads. All Metrobus and MetroAccess service is expected to return to normal Thursday. Metrorail operated on a regular schedule Wednesday but canceled the scheduled evening track work, as it did Tuesday, to use personnel to keep tracks clear and trains running. Some commuter Metrobus routes were canceled, but major city routes remained at or near normal service. In Virginia, VRE commuter rail service will resume its full schedule Thursday. Amtrak service on Wednesday operated with minor disruptions, which included the cancellations of trains from D.C. to Lynchburg, Va., and to Huntington, W.Va. No service changes are expected for Thursday.